If you’re not familiar with Grovana watches, don’t be embarrassed. While they are a Swiss watchmaking company, they’re not that old, having been founded in 1924 but only really becoming a world player in 1970. They aren’t really innovators; that is something the leave to the bigger players in the market. That said, they do make some attractive, rugged and affordable timepieces that should appeal to most tastes. Today, the company offers a nice selection of styles and good build quality at an affordable price, allowing you to own a well-made Swiss watch without having to take out a second mortgage. Read on for the full Grovana watches review. The build quality of is quite good, with stainless steel cases (some with PVD gold), leather and stainless steel straps and bracelets, and rock-hard, scratch-resistant sapphire crystal. Water resistance varies by model, of course, but some models offer up to 100 meters of water resistance. With proper care, you’ll find that these watches will run well for many years to come. The company uses Swiss-made movements, and they offer a mixture of quartz electronic and automatic (self-winding) mechanical movements. Both have their pros and cons, though the models with the quartz movements are somewhat less expensive and require less in the way of maintenance than the automatic models. 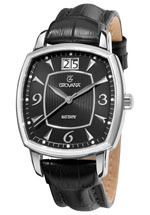 Grovana watches aren’t really known for their innovation; they leave that to the big players. Instead, they take well-proven, tried-and-true technology and put it to use in attractive designs that are priced for the average, rather than the affluent, consumer. While a few models have date and chronograph features, you’re not going to find moon phases or tide complications in Grovana watches. 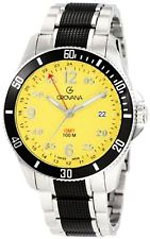 Styling of Grovana watches is quite diverse; they make a wide variety of timepieces and should have something in their product line to appeal to the taste of just about anyone. Their Traditional line is what the name suggests – a line of timepieces that would probably not look out of place on an episode of Mad Men. The Retrograde line has some modern and vintage features, with some unusual face designs. While most models are for men, Grovana watches do have some surprisingly attractive timepieces for women, too, and they’re a bit offbeat in styling, making them sure to appeal to women who want something that’s just a bit different. Many of the men’s models have chronograph features and enhanced water resistance for those who favor sports models. Care and maintenance of Grovana watches should be minimal, as the product line features highly reliable quartz electronic movements. These require relatively little care, aside from needing to have the battery replaced every two years or so. You’ll also want to store your watches in a cool, dry place and keep them away from extremes of temperature and from strong magnetic fields, as these can harm the movement. With proper care, your watch should provide years of service. The warranty is one of the better ones in the industry; you’ll find that they are warranted for three years from the date of purchase against defects in materials and workmanship. This stands out sharply in an industry where a two year warranty is standard, and its a testament to the company’s build quality. If you’re on a budget but you’d still like a Swiss watch, you’ll love the prices. Where many Swiss brands offer timepieces that are priced in to the tens of thousands of dollars (or more! 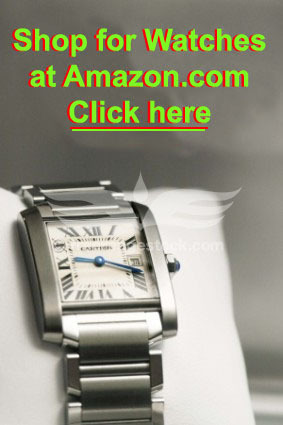 ), you’ll find that this brand is priced in the hundreds of dollars instead. Most models are priced in the $250-$400 range, and the product line tops out at about $1000 or so. That puts them in reach of most consumers and the three year warranty just makes them all the more appealing. There isn’t much collector interest in the brand, so don’t buy them with the expectation that they’re going to appreciate in value anytime soon. On the other hand, they are quite affordable, and that reason alone should be enough to buy one. You can find the brand for sale at a number of brick and mortar retailers, including jewelry stores and fine department stores. You’ll also find them for sale at a number of Internet retailers, and you should probably look there first, as that will be your best opportunity to buy at a discount. We’ve seen the brand at some online retailers for as much as 60% off of the list price, which makes the already-affordable timepieces all the more appealing. Keep in mind that the company’s product line is rather large, so don’t expect any retailer to stock everything. On the other hand, most retailers should have a nice representative sample. While women’s models used to be somewhat hard to find, the company seems to have expanded their product line to offer a wider variety of watches for women. They now offer at least 40 different models for women in a variety of styles and across a broad range of prices. There’s a lot to like about this brand; they’re attractive, they’re Swiss-made, they’re well build, and they’re quite affordable. They also come with a warranty that’s considerably better than many other Swiss brands, and that can add a lot of incentive to make a purchase. The company doesn’t currently make automatic models, but they do produce some high quality quartz timepieces. If you’re looking for a watch that offers Swiss credibility, good build quality but won’t cost so much that it will break your bank, you’d do well to give Grovana watches some careful consideration the next time you’re in the market for a luxury timepiece. Luxury Watches - Are They a Good Investment?